Are you savage enough to hit seven bars in one night? Who: Industry vet and lead bartender of Bar Centro Billy Yoder mixes, shakes and stirs a unique selection of cocktails that complement Jose Andres' signature cuisine at The Bazaar. 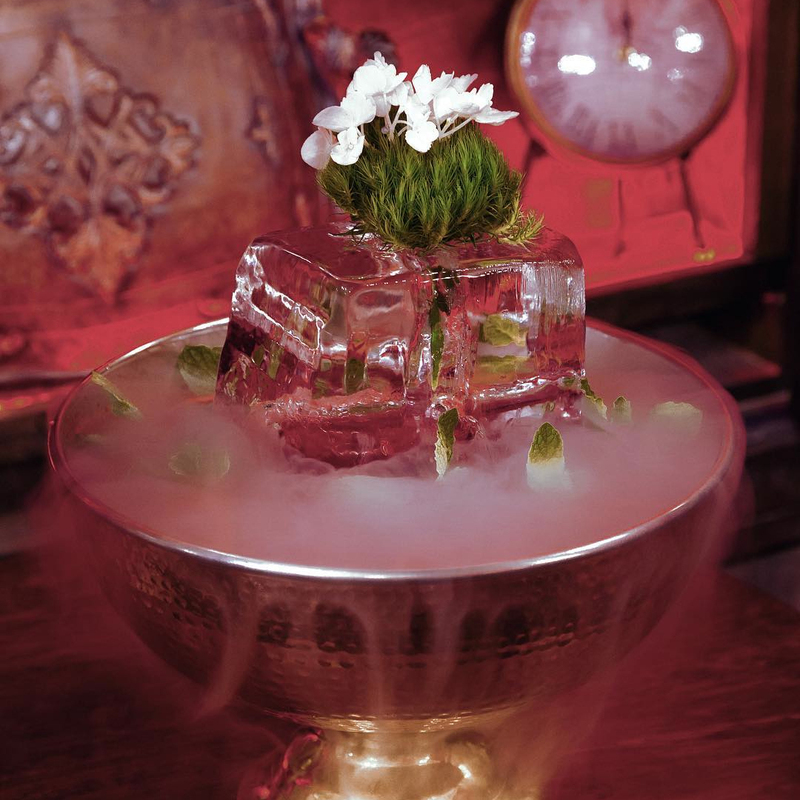 With the onset of summer, Billy has created a new menu of seasonally inspired drinks under the guidance of Miguel Lancha, cocktail innovator of ThinkFoodGroup. 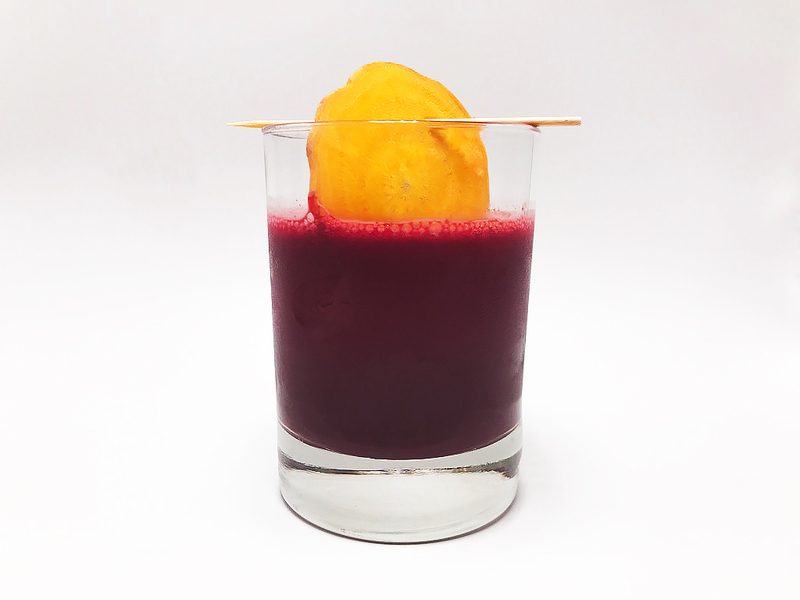 The Beet It, one of Billy's proudest cocktails, boasts red beets, black peppercorn shrub, lime, basil, vodka and an activated charcoal sugar rim because let's be real, charcoal is all the rage in LA right now. When Billy isn't behind the bar, he bounces between other ones nearby. "The Hollywood nightlife scene is extraordinary and the biggest misconception is you can't have a good time if you don't have a black card." So, with thirsty Angelenos like you in mind, he dreamt up his ideal night out on the town. Who’s ready for a story that won't put you to sleep? Billy Yoder: We begin with a one of a kind experience at Bar Centro as we flirt with the cocktail menu and nibble on unique tapas from Jose Andres’ kitchen. The lovely cocktail waitresses laugh with us as we notice the intriguing display art that turns a king’s head into one of the SLS Hotel’s signature monkeys. We make some new friends beside us, as most of the hotel guests are world renown travelers. We savor the seasonal drinks, featuring unique pairings of truffle and watermelon, yellow bell pepper gin, cilantro infused tequila and absinthe. 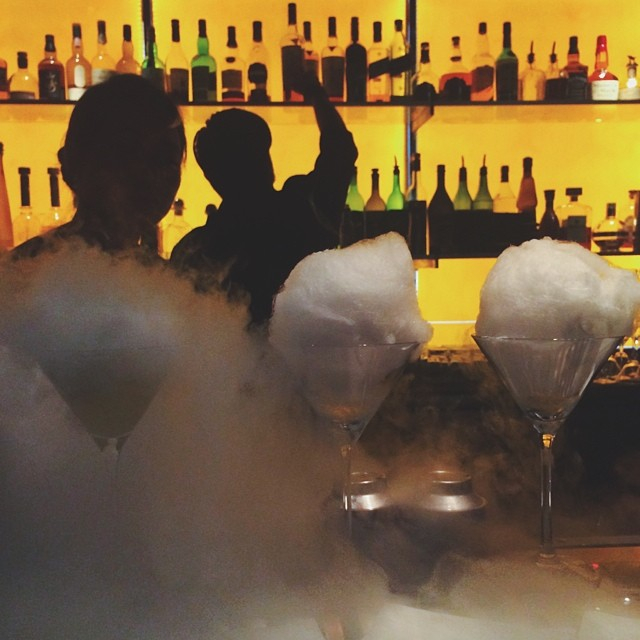 We love watching the bartenders play with liquid nitrogen to the mesmerizing “Smoke on the Water”. A few friends even record the elusive “Magic Mojito” which uses liquid nitrogen to transform cotton candy into a floating mojito cocktail in a martini glass. Convinced we won’t see anything more magical, we leave the comfort of The Bazaar and head out to West Hollywood to see what we else we can find. BY: Just as sunset approaches, we go straight to the LP Rooftop where we gather around the fire pit and order some Boba cocktails and a few classics to test the bartender’s skills. Trust, these bartenders have some skills. The vibe is tranquil yet eclectic, and the mood captures the sunset on Los Angeles, a 360-degree view that will make you fall in love with the beauty of this coast. You probably came here with some of your closest friends so you spend the next hour catching up, telling embarrassing stories, and getting ready to decide where to go next. BY: The party starts at Melrose Umbrella Co. as the friends who could only have one cocktail because "they have work in the morning" are long gone. It's time to make new friends for the evening. The high vaulted ceilings, Douglas Fir wood beams and potted Meyer lemon trees welcome you at the door and you feel a post-prohibition energy wash over you. Oh yeah, we are definitely going to have fun here. 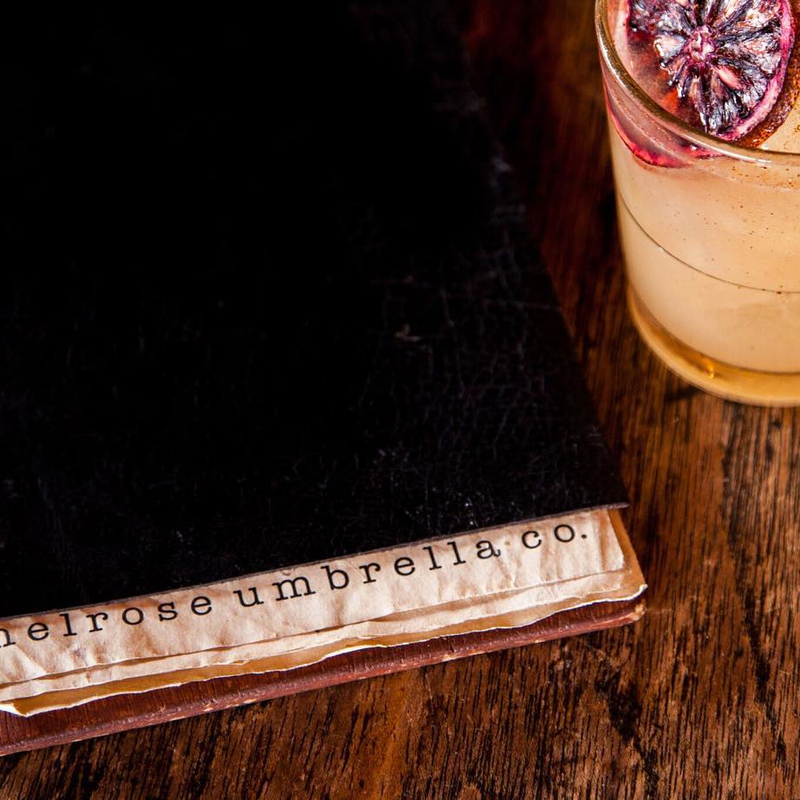 The umbrella with rain falling is the bar's trademark symbol, a reference to the post-prohibition era and many wet days to come. Everyone sips one of the draft cocktails, and they don’t disappoint. 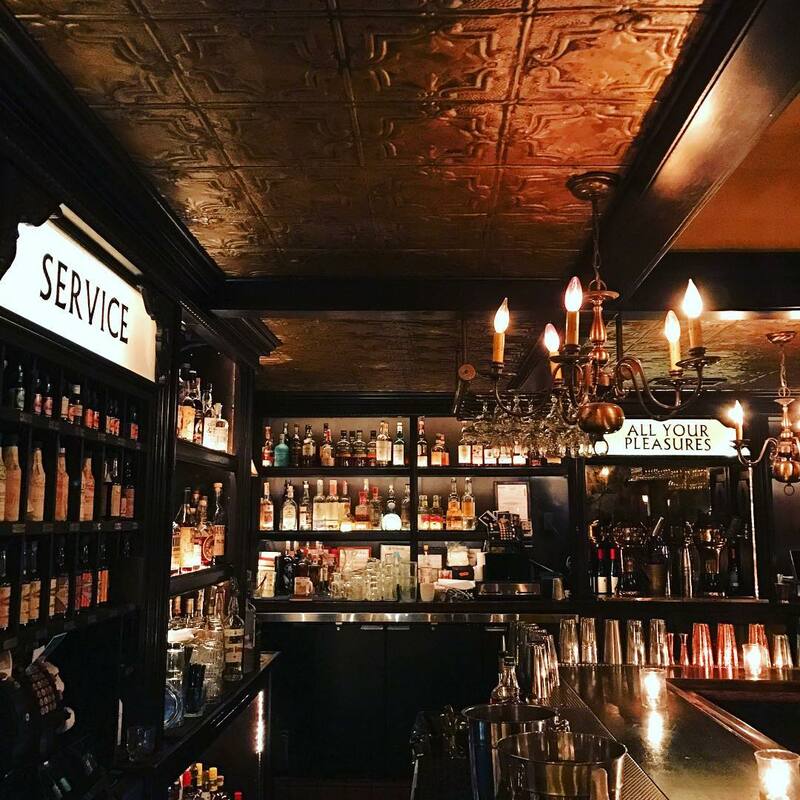 With live music playing, it’s easy to forget you’ve been slinging back variations of your favorite classic cocktails which are a sight to watch as the bartenders take their time to craft each drink in front of you. We stay long enough to enjoy a few blended tiki drinks. Right before you’re ready to go, the music switches to a DJ and the dance party commences. As a sign that you probably need to drink more water, you pull out a chair and perform a solo chair dance to Britney’s “Slave 4 U”. Everyone in the bar watches in amazement because you know all of the signature moves. Also, this may have actually happened in the exact spot, this time last Christmas...that’s normal, right? Anyways, we bid farewell to the bartenders, all of whom give us the inspiration to go into Hollywood to continue our night. We are ready and we are bringing some of our newly acquired friends with us. 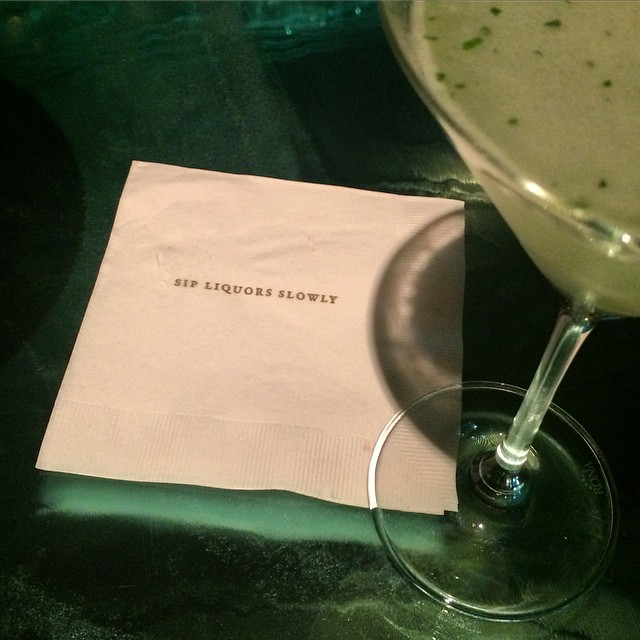 BY: As if this night could get any more bizarre, we enter a magical bar. 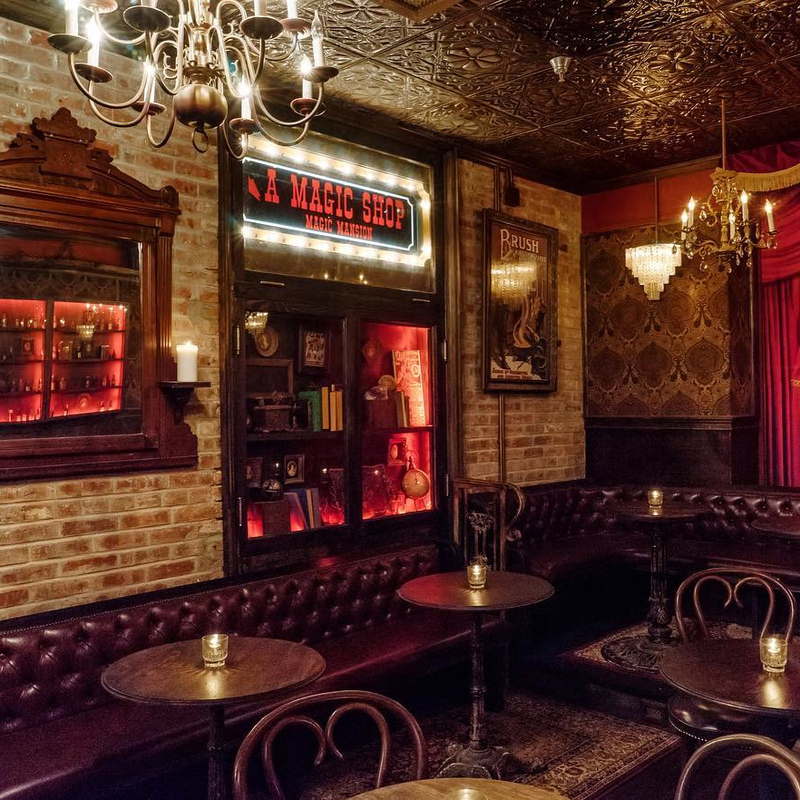 Eat, drink, magic, repeat is their slogan and we are at the perfect point in the night to do such a thing.You’ll feel like you’ve entered a dimly lit saloon from a western movie because that’s what the saloon looks like at night! We sit at the small bar and order some of the best Thai-Chinese food we have ever eaten. The Pad Thai, Tiger Fried Rice and Drunken Noodles put us right back in order to start some more drinking! By this point, we have a crew of new friends and decide to get one of the signature punch bowls, Dell Odell, which consists of tequila, lime, grapefruit, capertif, and habanero tincture. It's HUGE! Not long after we take our first sips, we notice it’s time for the magic show. That’s right, a magic show in the back room. With a punch bowl in tow, we offer a straw to anyone who will let us walk ahead of them to get a table in the front row. For the next 45 minutes, we are mesmerized by Rob Zabrecky's magic show. How did he do that? Where did that thing come from? Did he really just make that disappear? I can't see any strings, how did that thing fly? If you’ve ever wanted a one of a kind experience in LA, you’ve just had it. After the show, one of our new friends from Melrose Umbrella Co. motions for us to follow him downstairs. Any rational person would have thought twice before following a stranger. But not us, we are on my bar crawl after all. Follow along! BY: Following our new friend down flights of dark, dingy stairs and into a subterranean hallway sparks the group’s intrigue. Some think of turning back, and some of us think of the frisky things that could go on down here. Some of us may even be a little excited to think of what we are about to embark on. Minds out of the gutter people, this isn’t that sort of story. Loud, pounding music draws closer as we approach what looks like exactly like the door to your grandmother’s basement laundry room. It opens and all we see are bodies jumping up and down to the overwhelming bass of the DJs music. Oh, wait, its hip-hop night! Jackpot! We make our way through the sweat-drenched crowd, in what looks exactly like where you’d bring your dirty laundry to clean yourself, to the bar. We have earned this drink. You give the cocktail menu a quick glance and order off a round of the same drink. You aren’t sure if the bartender heard you, but the drinks are heaven. If I told you what was in them, I’d have to kill you. Or maybe, by this point, I’ve just forgotten. Even if you don’t care to look at a menu, the bartenders know their stuff. You can just yell at them “make me something”, and voila, they’ve given you a throwback to a classic with a subtle twist. We keep dancing for what seems like an entire night as our clothes become drenched and our smiles become brighter than any light in the room. We have a few more places to go, so as the last 90s hip-hop jam plays, we move on. We aren’t even sure how we got back upstairs, but somehow we did. That means we’ve earned another drink! BY: Fearing we had walked into the wrong neighborhood, we check in with each other about what we're seeing. The outside looks like a Victorian home built in the 1900s, it's The Janes House built in 1902 to be exact and now serves as a hotel. The entrance to the bar is the best part! We are escorted by the doorman through a “secret entrance." Sorry, you have to experience it for yourself. No spoilers. 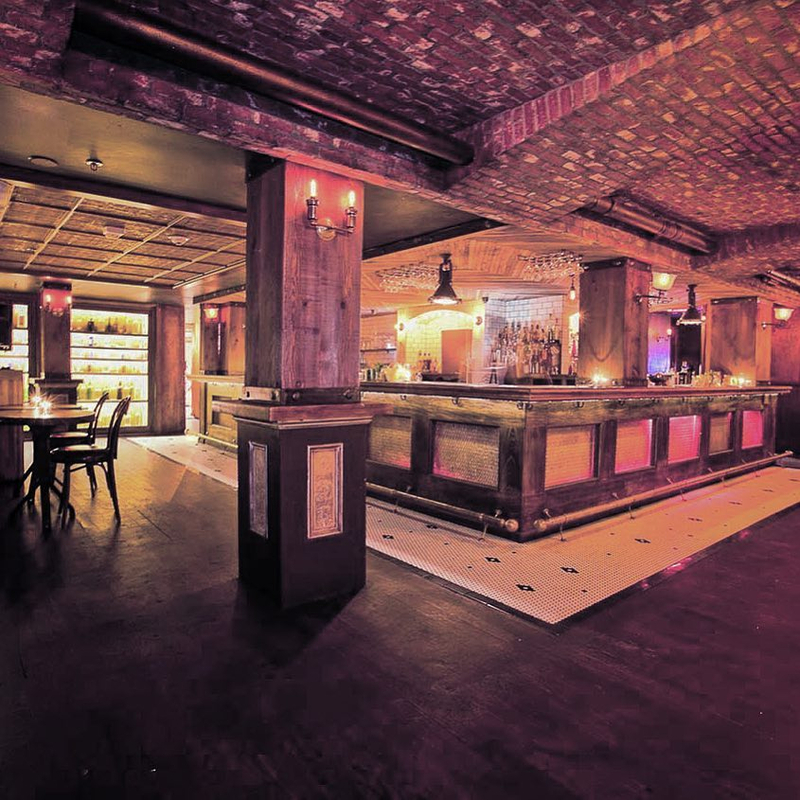 Once inside, we’re thrilled to see the Gatsby-style decor and a sprawling eclectic crowd. Walking around you’ll notice that there are three bars, each of them very different. We opted to experience the atrium bar first. 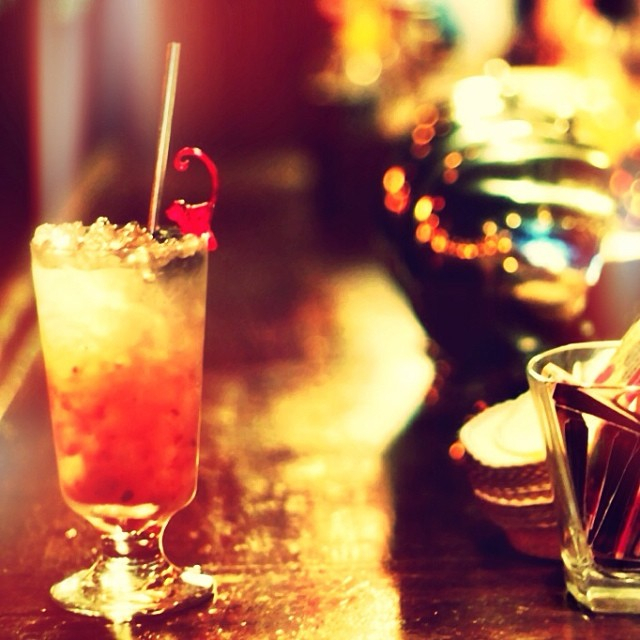 The cocktail list is crafted by 12 bartenders, aptly named the dirty dozen. The cocktail of the night is Marcos Tellos Cocktail which pairs Damrak Gin, Campari, Lemon and orange juice and a touch of simple. However, my favorite (this IS about me, right?) is Bar Manager Morrison Nichols' cocktail which pairs Jasmine infused Caprice Gin, lemon, coconut jasmine cream, egg white, and edible flowers. We take our drinks to the outdoor fireplace and have a seat. The crowd is filled with a variety of people, but mostly groups of friends who came to enjoy their time together. A few friends wander off to the cigarette machine, yes a cigarette. machine. Perfect for the social smoker. All of a sudden, they doors slam shut and everyone turns their attention. The lights flash bright and a burlesque show begins! We didn’t expect this sort of thing at this time of night, but it is thrilling! There’s even a tightrope walker who makes an appearance and the crowd goes wild for the short-lived set. It was quite the surprise to those of us who thought we were about to end the night outside. After the show, most of the group dissipates and calls it a night. Four of us are left standing and we joke about what a good reboot of the “Fantastic Four” we would make. A final cocktail, we decide, is in our future and we know just where to go. 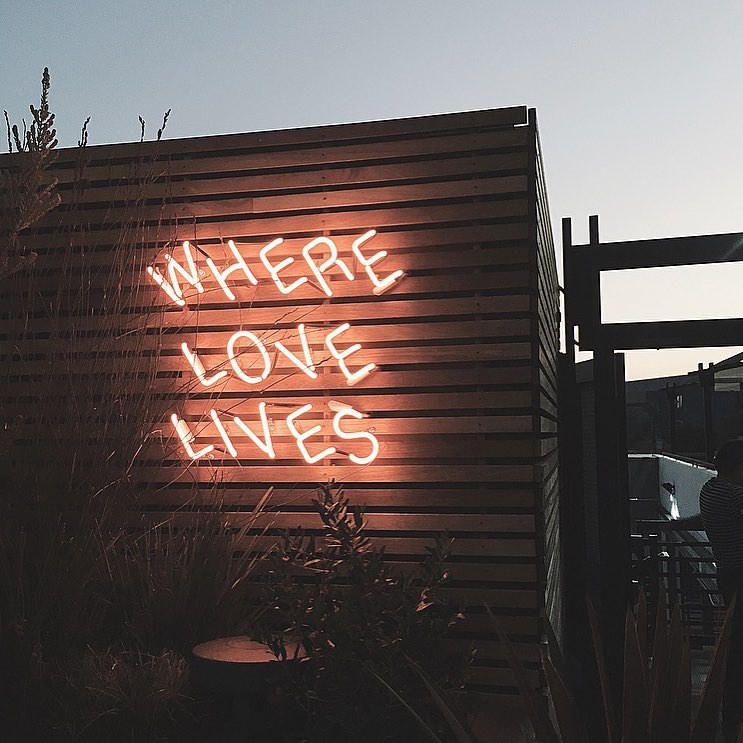 BY: If you didn’t know where this bar was, then you’d be lost. We were lost. We had come to the spot where Google Maps pointed us and .... nothing. 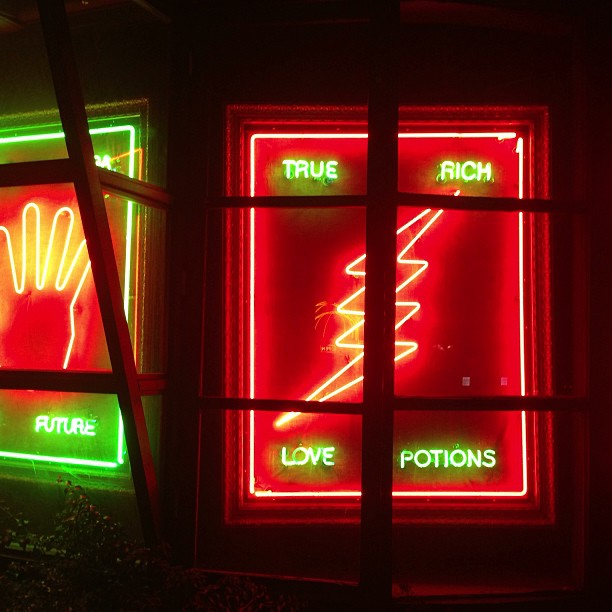 There is a doorman standing outside of a door to the left of two big neon lights that resemble playing cards. “Coming in?” he asks. Yes. Yes, sir. We enter through a heavy stage curtain and all glory awaits us. Circus themed photos, big top murals, red-gold lighting and a mirrored ceiling make us feel like we are in a tricked out stage coach of the wild wild west. We sit at the bar and are greeted by attentive bartenders who lay down drink coasters that read “yes”. the vibe, at this time of night (that time being the end - which in LA is around 1:30 a.m.) is somber with some light chatter and sporadic laughter from a nearby table. The drink menu is set up by season (it’s summer) and by spirit – including, to my delight, an absinthe section. I order the “Green Fairy” (I’m feeling fancy) - which is comprised of Lucid Absinthe, Egg White, Lemon, Angostura Bitters and served UP (See? Fancy). Other cocktails worth noting are the “Old Sport” - (Botanist Gin, Black Tea infused Soho Lychee Liqueur, Cucumber Juice), the “Dueling Banjos” - (Jim Beam, Carpano, Green Chartreuse, Maraschino), and the “El Gordo” - ( Cazadores Blanco, Aloe Liquor, St Germain, Lime and a mezcal Finish ). The bartenders banter with us as we recall all of the evening’s outrageous moments. Those of us left should be commended for making it this far. 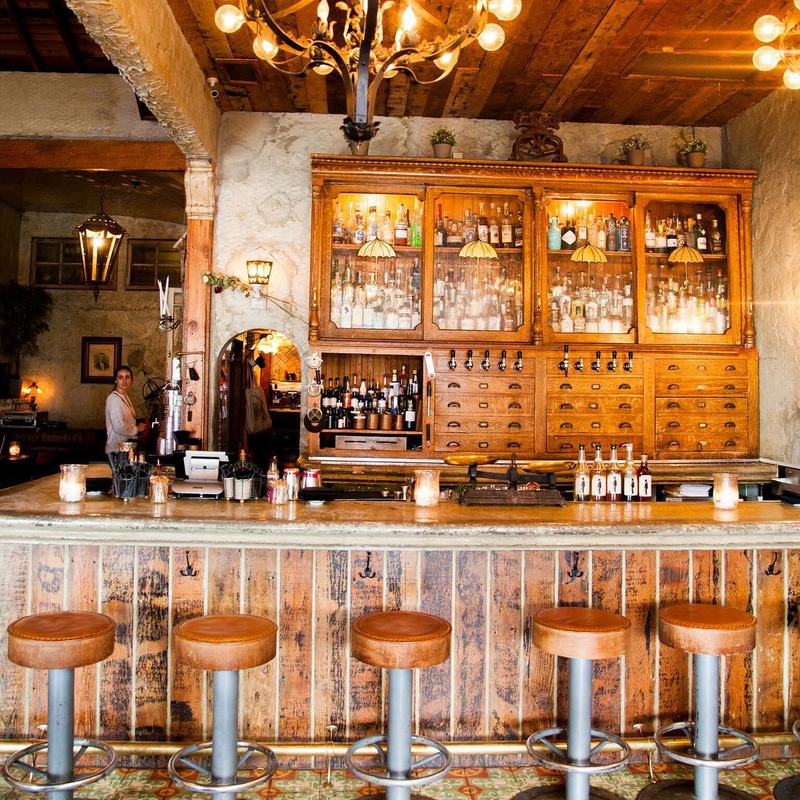 This bar is often revered as a “Bartender’s Bar,” and that’s fine by us. As we finish our nightcap, we strike up a conversation with a few folks sitting next to us doing the same. We get to chatting, talking about where we’ve been and how much we enjoy the experiences that you can have in this city. They invite us back to their hotel, Petit Ermitage. They try to lure us by telling us about how the hotel has no time restrictions to its patrons, and that they can use the upstairs bar and pool deck at their leisure any time of the night. They even have their own pre-packaged drink set in the room. I think back to the night, to all of the various people we encountered along the way, the fantastically unique drinks we consumed, and the one of a kind performances we stumbled upon ( remember that chair routine to Britney? ) and I’m content with my Hollywood experience. I don’t even think of what lies ahead if we accept the invitation to continue the night. Even if we did accept such an invite, that’s a story for next time.